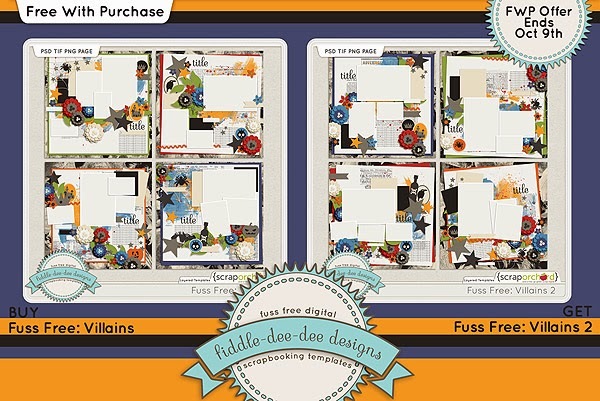 Fiddle-Dee-Dee Designs: Treachery! Villainy! Oh my! 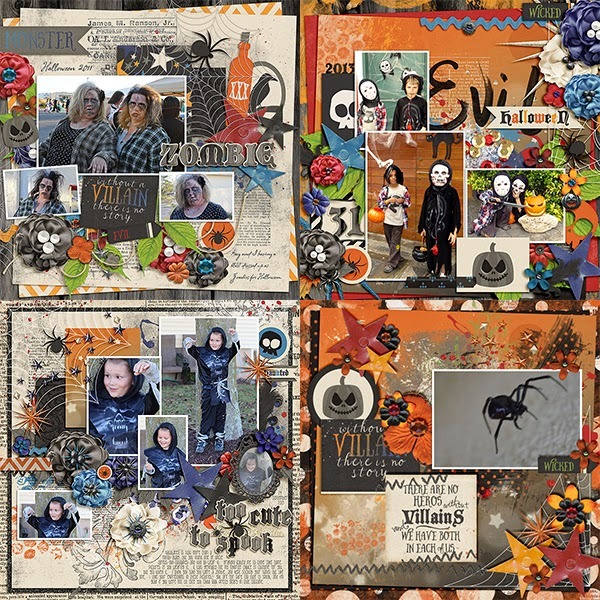 Fuss Free: Villains and Fuss Free: Villains 2 are sets of templates designed to coordinate maliciously, ahem, I mean, deliciously, with the Villains Bundle by Dream Big Designs. 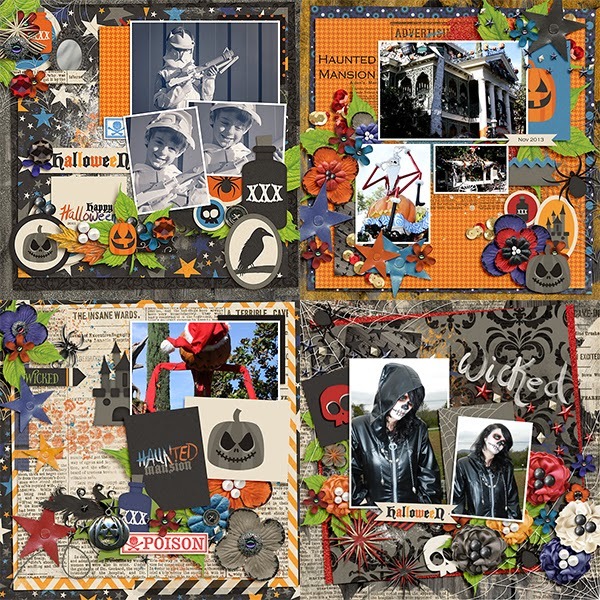 Created with the bad guy in mind, these templates are a great way to document Halloween, vacation photos, or just some downright evil behavior! 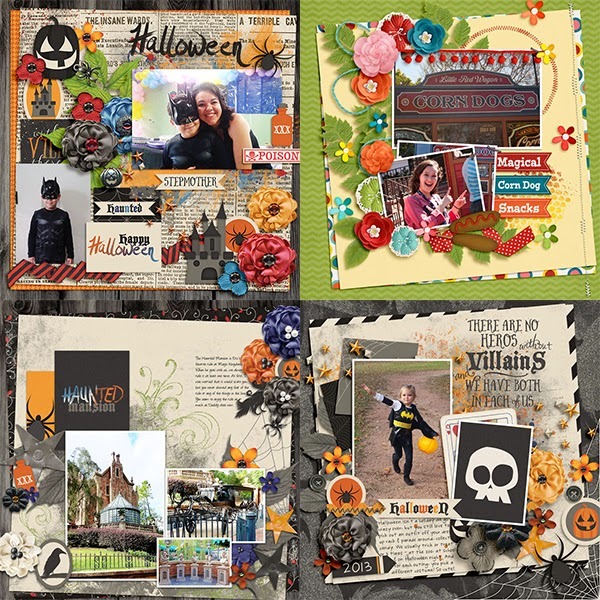 Filled with a variety of photo shapes, leaves, flowers, star scatters, pumpkins, poison, spiders and webs, each template helps you to create a tall, dark and malicious layout fit for a villain! 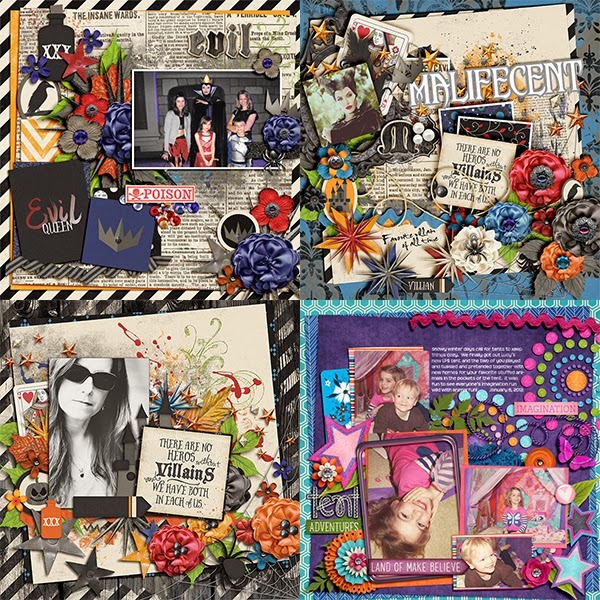 Here's a look at Dream Big Designs' Villains Bundle. Isn't it awesome!?! Purchase Fuss Free: Villains and receive Fuss Free: Villains 2 for free! Offer valid through October 9, 2014. Please check the FreeBee tab in the navigation bar at the top of the site for all the latest on the freebees for the month of October! It's the month for being villainous, treacherous, and malicious ~ hey, we all gotta do what we gotta do to get candy on Halloween! Here's to making fun memories and to taking time to scrap! Enjoy your week! There's still time to tell your Summer Stories!